The theme of this year's Christmas at Luther Celebration is "Out of Darkness, Light". 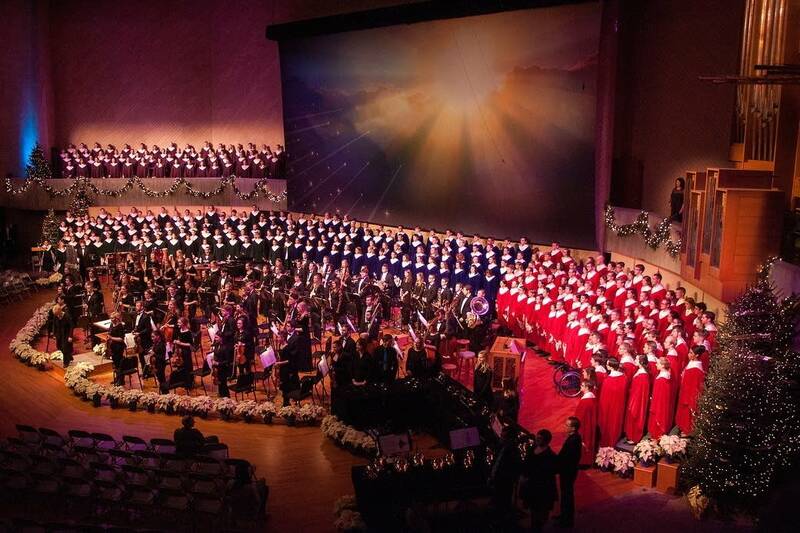 The concert takes place in the Center for Faith and Life at Luther College in Decorah, Iowa, and involves six choral groups, the Luther College Symphony Orchestra, the College Organist, and The Luther Ringers handbell choir. Nearly 800 students take part in music ensembles at Luther, and the college has one of the largest undergraduate music programs in the nation. Our broadcast begins with the Kyrie from Maurice Duruflé's Requiem, with Luther's combined choirs, Symphony Orchestra and organ, followed by American composer Sven Lekberg's Alleluia with the Cathedral Choir, conducted by Jennaya Robison. This year's concert broadcast takes on an extra poignancy, given the Dec. 21, 2016, death of renowned choral director Weston Noble, best known for his 57-year tenure at Luther College. Produced by Mike Pengra and Andrea Blain.